A Signature widget allows the collection of a signature using the touch-screen. Signatures are saved as raster images (JPEG). Note that signature questions will be ignored on non-touch screen devices, however, each submitted form is stamped with the Mobile Device number “system field”. Depending on your specific need, this stamp may serve as “digital signature”. 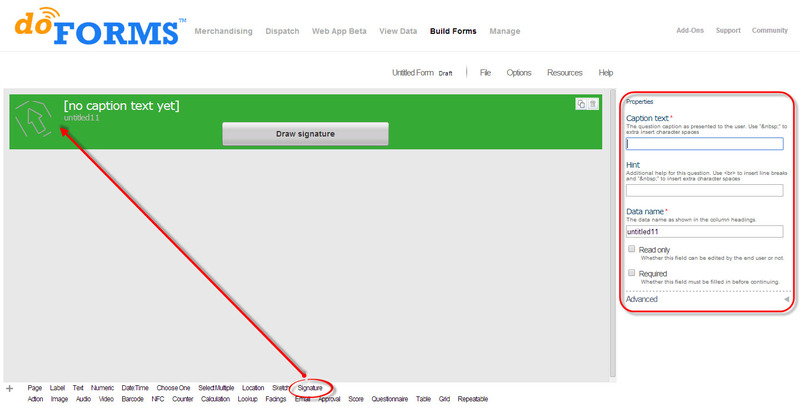 Adding the Signature widget is as simple as using a “drag and drop” motion to place on the form canvas.